2 What chemicals are tested? 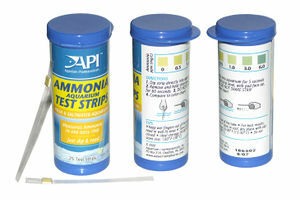 Test strips are the generic name given to aquarium products that are used to measure the levels of chemicals in water. They are strips of plastic on which are embedded tiny pads impregnated with test chemicals. When exposed to water and left to stand for a minute the pads change colour to show you the level of that particular chemical. These types of test kits are called Nessler. 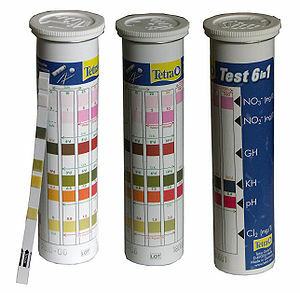 Ammonia neutralising liquids will still show up as a false positive.